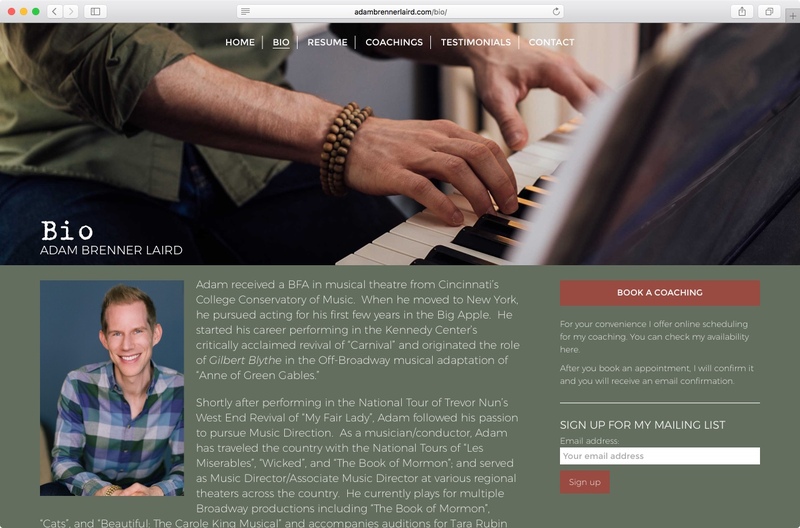 Designed and developed a personal branding website for Broadway music director and vocal coach Adam Brenner Laird. 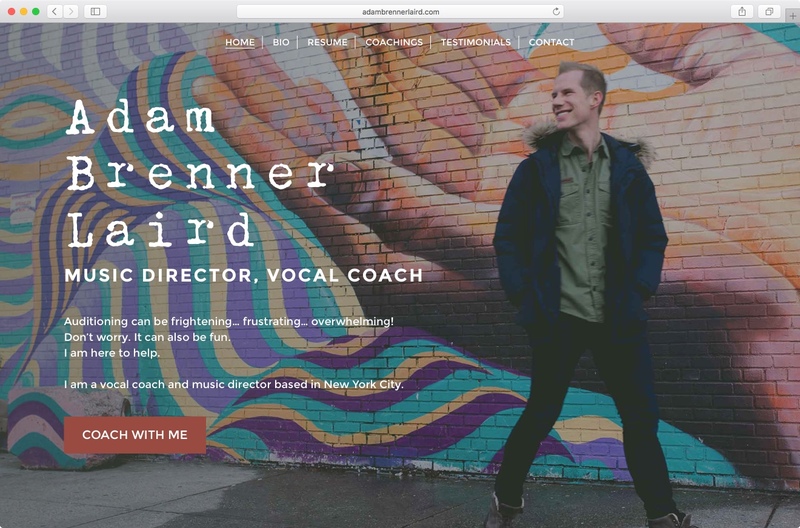 The site was built as a lead generator for Adam’s vocal coaching studio. Adam had a lot of great photography to work with and I came up with a design that would show that off.